You can view any groups where your instructor has added you as a member, as well as any available self sign-up groups in your course. Learn how to easily see the groups you are enrolled in. 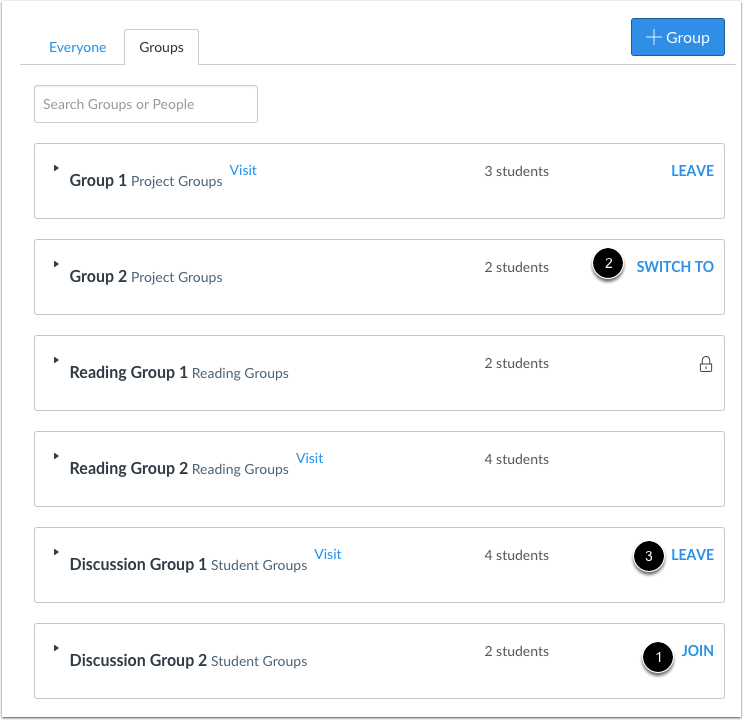 View the groups available in your course. Each group shows the name of the group and how many members are part of that group. If there are any self sign-up groups available to join, you can join the group by clicking the join link  or you can change groups by clicking the switch to link . If you are already part of a self sign-up group, you can leave the group by clicking the leave link . Note: You cannot leave groups that are not self sign-up groups. If you have been invited to be a student leader and manage a group, the Manage link will appear next to the name of the group. 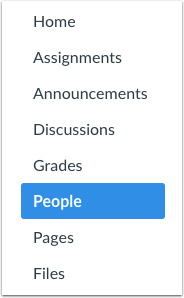 To view which students are assigned to the group, click the name of the group . The names of the students will appear in an expanded list . Previous Topic:How do I view my course analytics as a student? Next Topic:How do I view my Canvas groups as a student? Table of Contents > People and Groups > How do I view all groups in a course as a student? Re: Where/How do students see team assignments?